Apple and pork are the perfect companions, so why not pair them together with one of my favorite pork products - BACON! This Apple Bacon Jam is a great condiment to keep on hand. It can amplify your favorite burger or your grilled cheese sandwich, or it can be a stand alone appetizer on top of some crackers or bread. 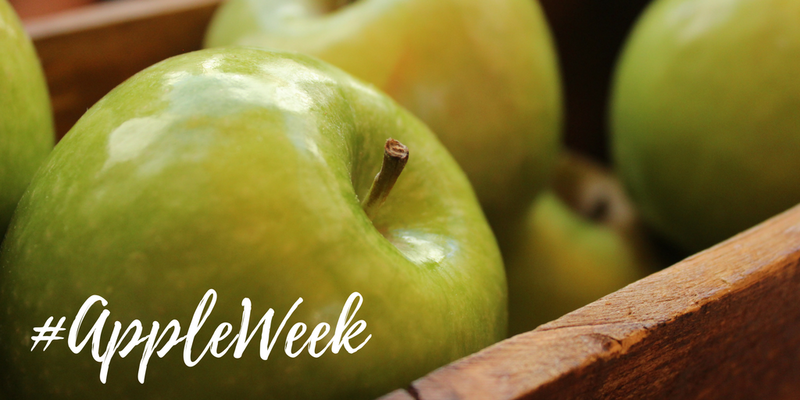 It's Day 2 of #Apple Week and I had to share another recipe today because it is Johnny Appleseed's Birthday! How perfect is that! I thought it would also be a perfect day to share a recipe that highlighted the delicious Honeycrisp Apples I received from Rainier Fruit. Honeycrisp apples are one of my favorite varieties of apples because they are perfect for baking and cooking, as well as eating raw. They are a great universal apple with a sweet, yet tart flavor, and they were a perfect addition to my Bacon Jam! Cut bacon into 1" slices and cook in frying pan until lightly browned and beginning to crisp, around 20 minutes. Take bacon out of pan and add chopped onion in bacon fat. Fry til soft, around 5 minutes. Transfer the bacon and onion to a pot and add the chopped apples, brown sugar, hot sauce, 1 cup apple cider, vinegar, maple syrup, salt and pepper. Simmer, uncovered, for 1 1/2 hours adding 1/4 cup of apple cider every 30 minutes and stir. After the mixture has become syrupy, let it cool for 15 minutes and place in food processor and blend to a "jam" texture. 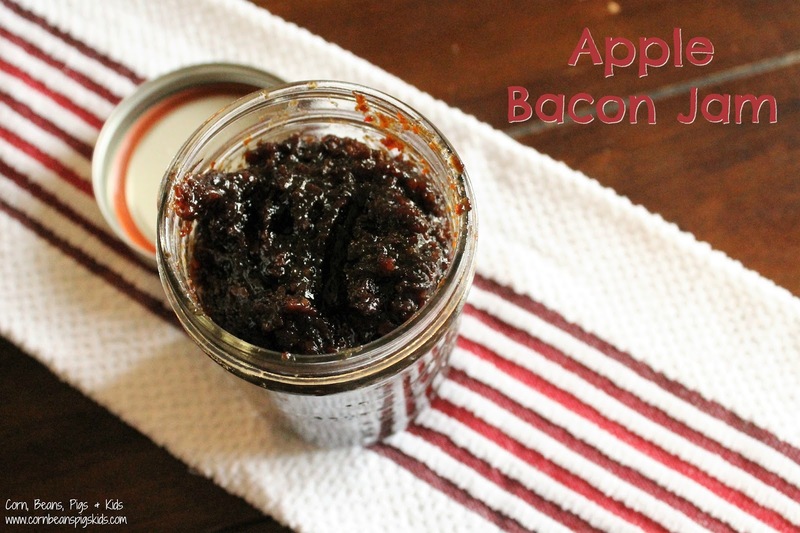 This Apple Bacon Jam is perfect for entertaining, tailgating, and holidays. It is so versatile that I'm sure you can come up with even more ideas and ways to use it. What would you like to serve the Apple Bacon Jam with? Remember to Comment for a Cause! This bacon jam sounds absolutely amazing. Okay, I'm in love! This looks delicious. I can't wait to try it. Mmmmmmmm bacon!! This really would be quite versatile and so much fun! I can't wait to give it a try! You'll have to let me know what you think and what creative ways you come up with on how to use it. So many delicious ways to use this jam. Definitely needing to make this soon! It is fun to add to so many sandwiches and appetizers. Yum. This would be great on a brie too! This sounds fantastic! I love the idea of putting it on burgers. I bet it would be good with cream cheese and crackers too! I love how versatile this is, perfect gift! thanks for sharing on our gifts from the kitchen link up for celebrate 365 Blog party!